In our past articles we have briefly touched upon many benefits from the use of CBD. Today, we are going to go a little more in depth into how CBD Oil for anxiety has been proven to alleviate anxiety and many other stress induced health issues. Furthermore, given the nature of current opiate crisis in America, many have chosen to turn towards naturally derived hemp oil to treat their medical conditions. Not only is CBD much less likely to become addictive, it also does not have nearly as many notable side effects compared against its over-the-counter alternatives. How CBD Oil For Anxiety Can Help!!! Although the medicinal properties of CBD have only recently gained significant traction, the harvesting of hemp plants date back thousands of years. CBD has been proven to help with anxiety in two major ways. First, to understand how CBD Oil for anxiety works, let’s examine how current anxiety medicine, specifically SSRIs, work. Selective Serotonin Reuptake Inhibitors like Prozac and Zoloft work by stopping reabsorption of serotonin in the brain. Serotonin is actually one of the most important naturally produced chemicals responsible for happiness in the brain. By stopping reabsorption, the drug maximizes the amount of serotonin available in the synaptic space which in turn allows for more transmission of serotonin (“happy”) signals in the brain. This effect is believed to reduce anxiety and boost mood in certain cases. Previously, a 2016 study conducted by several universities in Spain concluded that CBD is indeed a 5-HT1A agonist. And because 5-HT1A is a subtype of the serotonin receptor, which means that CBD boosts the efficiency of serotonin transmission. This can lead to noticeably less anxiety and better moods. Researchers in this study also noted that “the fast onset of antidepressant action of CBD and the simultaneous anxiolytic (anti-anxiety) effect would solve some of the main limitations of current antidepressant therapies” (https://www.ncbi.nlm.nih.gov/pubmed/26711860). Moreover, another way that CBD is thought to help with anxiety is by facilitating hippocampal neurogenesis in the brain. When doing brain scans of patients suffering from anxiety and depressions, doctors have associated those conditions with a smaller hippocampus. And successful treatment of depression has been linked with hippocampal neurogenesis (https://www.leafly.com/news/health/cbd-for-treating-anxiety). Moreover, a 2013 study conducted on mice showed that repeated administration of CBD could help the hippocampus regenerate neurons (https://www.ncbi.nlm.nih.gov/pubmed/23298518). Another 2013 study also proved that both SSRIs and CBD may promote neurogenesis (https://www.ncbi.nlm.nih.gov/pmc/articles/PMC3648779/). Given that both are true, CBD has the potential to really be the future of anxiety and depression medication. While it is true that there have only been few clinical trials conducted on humans, the ones that have been completed show very promising results. A study in 2011 conducted on a group of people with Social Anxiety Disorder confirmed that CBD “significantly reduced anxiety, cognitive impairment, and discomfort in their speech performance” (https://www.ncbi.nlm.nih.gov/pmc/articles/PMC3079847/). On top of that, a Brazilian study done in 2010 showed that after the participants had administered CBD, their brain scans showed cerebral flow patterns consistent with an anti-anxiety effect (https://www.ncbi.nlm.nih.gov/pmc/articles/PMC3079847/). In addition to the studies that have already been published, there are plenty more scientists investigating this right this moment. Following a wave of newfound popularity in CBD, many more studies have been conducted than ever before in the past, and it is true that more positive information comes to light nearly every day. 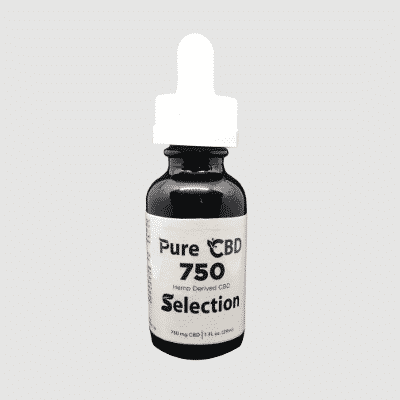 Due to the growing popularity of using CBD as a solution for chronic illnesses, there has been a flood of new ways to administer your medicine. 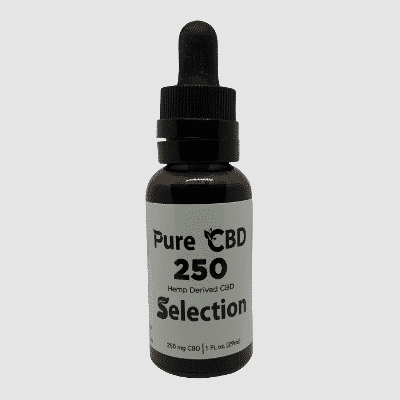 Currently we offer CBD tinctures, CBD candy, CBD gummies, CBD vape cartridges, CBD lotion, etc. There is sure to be a form of CBD that fits everyone’s individual needs. And because everyone reacts to CBD differently, it is difficult to come up with a standardized dose for relief. Our advice would be to start at a low dosage and slowly increase your dosage until you notice relief. Although CBD has yet to be nationally recognized and approved as a viable treatment option for those suffering from anxiety, many studies and a lot of research have proved that CBD does in fact have the ability to cure anxiety. In addition, CBD has also been researched to help with plenty of other medical symptoms such as anti-seizure, neuroprotectant, and pain relief. Again, please discuss with your doctor before starting CBD treatment and also be sure to check your local laws and regulations regarding CBD. And as always, stay tuned for more information and updates about CBD! Stay healthy always! Hey, how is your time going? In the last few articles, we have already discussed a lot on CBD oil. What is its specialty? How could we get pure CBD oil? And so many. Today we will discuss a new topic; CBD oil in Dallas Texas. Let me go through in details. Do you know how CBD oil is working? In our bodies, there is a process which is called as Endocannabinoid system or in short forms ECS. It is essentially an internal regulator which is responsible for maintaining homeostasis on all levels. Tetrahydrocannabinol is the actual psychoactive Cannabinoid which is found in Cannabis. It causes a sensation of getting high and it is associated with Marijuana. Unlike THC CBD is not psychoactive at all. The special quality makes an appealing option for the users who are looking for relief from the pain. Basically, hemp oil is extracting from the cannabis plant and then it will dilute with coconut or hemp Sid oil. It will help you to gain momentum in the health and wellness world. From the scientific studies, we know that extract from the hemp plant will help us to relief from chronic pain and anxiety. Is this legal in Dallas, Texas? Suppose you are a patient and prescribed to take cannabis oil than our advice is to use full spectrum oil. We know that Texas has legalized marijuana for medical uses only. It is applicable for a narrow set of circumstances. If the users do not fall within the qualifications set by the compassionate use act then possession of this type of oil containing some amount of THC is against the Texas law. We know that the state definition of Marijuana closely tracks the federal definition. Inhabitants of Texas are free to purchase hemp derived oil and various products which are generally available in different stores and online. In the year 2014, the federal government allowed all states to cultivate and study Industrial Hemp. Formally Industrial Hemp is known as Cannabis Sativa L. THC is the psychotropic chemical which is found in Hemp. Industrial Hemp and it is available for purchase across the nation. Our selection will help you, especially on these particular topics. Industrial Hemp is allowed to cultivate on Texas soil. In the recent times over 30 states are growing Hemp for research and different marketing purposes. From our long-time research, we got that Hemp is one of the most versatile and earth-friendly plants. If we look at the history that we got that American began cultivating Hemp in 1645. Hemp is widely used to produce abundance products including some essential useful foods. We can also use it for bio-fuel, clothing, and paper. Now let me give you important information by using Hemp to make paper we are able to stop the dangerous deforestation and able to produce more environmentally friendly paper for more than 3% less price than the wood pulp paper. Our uses American grown Hemps to produce our products including different strengths. We also produce different types of products for pets. 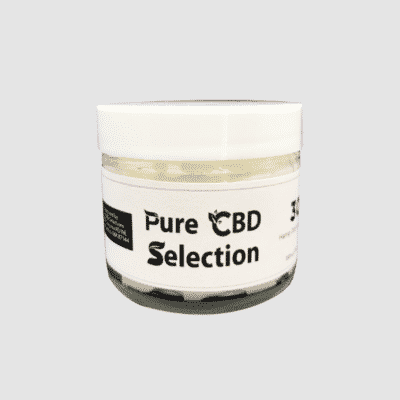 We can assure you that from us you will get pure CBD oil with different CBD products. Our wide range of products, each customer is sure to find a unique product which is best suitable to their needs. Our Selection the reviews so that the very first customer who is going to buy the product or want to know about the quality of products they will know from its review. There has been a lot of discussions about CBD oil during the recent years. We may have wondered that what is CBD oil and what it is used for? Actually, CBD is a sort of cannabinoid, a chemical extracted from cannabis plants. It is just one of the 104 chemical compounds known as cannabinoids found in the cannabis plants. Many of us think that it is a psychoactive chemical, but it’s not one. The cannabis plants have various types of chemicals one of which is the delta-9 tetrahydrocannabinol (THC) which is said to be psychoactive. The consumption of THC can change the mental state of human beings. But the intake of CBD oil doesn’t create this type of effect on the human body. Nowadays there are so many different types of CBD oil products in the market and hence the quantity of CBD in those products may vary. Cannabis is mostly used by people as a recreational drug and so there is controversy regarding the medical use of ingredients extracted from cannabis plants. Most manufacturers of CBD oil prefer extracting the CBD from hemp plants instead of marijuana plants. This means that CBD derived from hemp plants are available in large quantities in the market. The hemp and marijuana plants are both cannabis plants but some breeds of marijuana plants contain high THC levels. But the hemp plants contain lower levels of THC. A huge number of people use the hemp-derived CBD oil to get relief from pain and also reduce inflammation. Some researches during the past few years also say that this oil is extremely useful for pain and other related conditions. History of CBD | CBD was first extracted from the cannabis plant in 1940 by Adams and Todd and some of their colleagues. They have assessed the CBD and then considered that it was inactive biologically and the chemical structure of CBD was completely established in 1963 by Mechoulam and Shvo. Nowadays CBD is available in two forms: powder and oil. 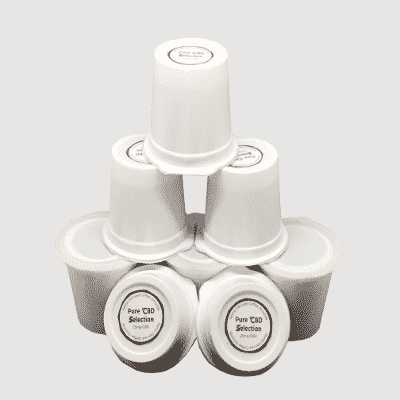 The powder is sometimes more convenient as it can be applied to the skin easily by making gels or creams. This is of great help if some parts of your skin are affected by arthritis. And yeah, if people don’t prefer any of the above two forms, no worries. People can consume it as an oral spray and capsule too. But it is advisable that people shouldn’t consume the CBD oil without asking your doctor first. It is always good to seek the doctor’s advice before consuming CBD oil or any other medicine. As the use of cannabis plants have some legal issues; i.e. it is not legal to use them everywhere, a person should also be aware of the local laws about the usage of CBD oil. However, the CBD we offer is hemp derived. Now its time to be curious to know how CBD works, right? All sorts of cannabinoids produce some effects in the body by attaching to receptors. The human body system produces certain types of cannabinoids automatically. Our body has two receptors for cannabinoids which are CB1 (located all over the body, but mainly in the brain) and CB2 receptors (located in the immune system). The CB1 receptors located in the brain are responsible for dealing with mood, emotions, thinking, memories, appetite, coordination & movement etc. The THC mainly attaches to these receptors. On the other hand, CB2 affects inflammation and pain. Long ago, researchers used to believe that CBD gets attached to the CB2 receptors but now it is revealed that the CBD doesn’t connect directly to any of the two receptors. Pain relief: The CBD oil has been used for a very long time as a pain reliever. The scientists have discovered recently that CBD acts as a pain reliever. Many studies suggest that CBD helps to reduce chronic pain by impacting endo-cannabinoid receptors of the human body which also helps to reduce inflammation. Such as a study conducted on rats revealed that injecting CBD reduced pain in case of surgeries; on the other hand, another study found that consumption of CBD orally led to lower inflammation and nerve pain. While some studies conducted on human beings suggests that CBD and THC combination is very effective in sclerosis and arthritis pain treatments. There is an oral spray named Sativex which is made from the combination of CBD and THC is legal in many countries for pain treatments. Reduction of Anxiety and Depression: Two of the most common yet severe problems which we face in everyday life are depression and anxiety. Usually, these problems are treated with drugs which have various side effects such as agitation, drowsiness, insomnia, headache etc. some of the drugs are even addictive and can also lead to substance abuse. CBD oil has proved to be an effective treatment for both of these problems. A study suggests that twenty-four (24) people with the anxiety disorder (social) consumed 600mg of CBD or a placebo before attending a public speaking event. People who had the intake of CBD experienced less anxiety and nervousness during their speech while compared to the twelve (12) people who used the placebo. CBD oil is also used for the treatment of anxiety and insomnia in children who are suffering from the post-traumatic stress disorder. These treatments are possible with CBD just because CBD has the ability to act on human brains’ receptors for serotonin which is a neurotransmitter that is involved in regulating social behavior and mood. Reduce cancer symptoms: Patients suffering from cancer experience various types of symptoms such as vomiting, nausea, pain etc. A great news for them is that CBD can help a hot in reducing these symptoms of cancer. A most common chemotherapy-related side effect is vomiting and nausea. CBD can be used to reduce these issues though there are various medicines for the treatment of these symptoms sometimes they turn to be ineffective which leads to the searching of alternatives. Once a study was conducted with sixteen (16) people who were undergoing chemotherapy. A one-to-one combination of THC and CBD via mouth spray reduced the side effects of chemotherapy far better than other medicines. Reduces Acne: Almost every girls and woman even men and children have faced one problem in any phase of life which are acnes. Only the one who suffers knows how severe and irritating it is. Acnes are caused due to various reasons such as bacteria, genetics, heat etc. as CBD oil has anti-inflammation characteristics and reduces sebum production (which is a major cause of acne), it is found to be very effective in the treatment of acne; recent scientific research suggests so. The studies in recent years have delivered promising results, so this has already been treated as a great ingredient for the treatment of acne. 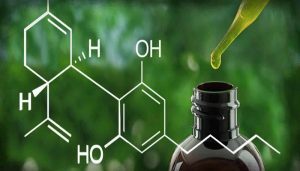 CBD oil has Neuroprotective Properties: Scientists have started believing that as CBD has the ability to have effects on brain signaling systems, this can be a great treatment for people with neurological disorders. Many studies are being conducted on the role of CBD in the treatment of neurological disorders and many of them have shown very promising results. An oral spray named Sativex which includes both THC and CBD is a proven effective and safe way to treat people with multiple sclerosis by reducing muscle spasticity. A recent study revealed that this spray has reduced spasms in 75% of total 276 people who were suffering from multiple sclerosis. Another study resulted that CBD oil reduced seizure activity significantly in children who are suffering from Dravet syndrome which is a complex childhood epilepsy disorder. CBD has also been a center point for research for its potential effectiveness for treatment of many other neurological diseases. Such as, recent studies have suggested that treatment with CBD has improved life quality and sleep quality for people suffering from Parkinson’s disease. Besides, animal and test-tube researches have revealed that CBD can reduce inflammation and help to prevent the neurodegeneration which is associated with Alzheimer’s disease. Heart Health Benefits: Many recent studies have found out that CBD has numerous benefits for the circulatory system as well as the heart. It is also very effective in controlling high blood pressure levels which increases risks of heart attack, stroke and metabolic syndrome too. Scientists indicate that CBD is very effective and of course, natural treatment for high blood pressure patients. Scientists have indicated that the anxiety and stress-reducing properties of CBD oil leads to lower blood pressure. On the other hand, numerous animal studies have suggested that CBD helps to reduce the cell death which is associated with heart disease and inflammation because of its extreme powerful stress-reducing and antioxidant properties. On the other hand, some studies reveal that treatment with CBD reduces oxidative stress and prevents heart disease too in diabetic mice which had heart disease. Quitting smoking and addiction problems: Some of the promising results from reports suggest that CBD can be used to help people who want to quit smoking. A recent research found out that the chain smokers who used CBD inhalers smoked far fewer cigarettes than usual and also had no further addiction for nicotine. A similar study was also conducted which showed that CBD is very effective for the treatment of people who had opioid addiction disorders. A group of research specialists noted that CBD helps to reduce some symptoms which are associated with substance use disorders such as pain, insomnia, anxiety, mood-related symptoms etc. Side Effects of CBD oil? Cannabis is legal in some states of the United States of America (USA) for either medicinal or recreational use. The other states have also approved using CBD oil as a hemp product. The federal government has clearly stated that if CBD oil is extracted from hemp plants, it is absolutely legal in all fifty (50) states. But its only legal as long as it has maximum 0.03% THC. But state legislators usually allow using CBD oil at some concentrations for treating some ranges of epileptic conditions. Different states of the US also need various levels of prescription for using CBD oil. For instance, in Missouri, use CBD for a person is allowed if they can show that the other three treatment options have been failed to treat epilepsy. 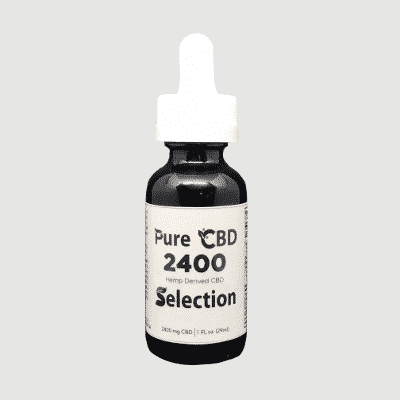 Anyone who is considering CBD oil must speak with a local health specialist who can provide exact guidance about safe sources of CBD and also local laws regarding usage of CBD oil. We have already known that CBD oil has been researched and studied for its role in treating many types of health issues such as depression, including anxiety, heart diseases, and acne. People who are suffering from cancer, it acts as a natural alternative for getting rid of symptoms and pain too. But the research on the above health benefits from CBD oil is still going on, it is almost sure that many more benefits of the CBD oil will be discovered. But as there are many more to be learned about the safety and effectiveness of CBD, results from numerous studies reveal that CBD surely is a safe, powerful and natural treatment for many health conditions. Be cautious! Stay healthy always! Wish you the best of luck!